Our in-store book clubs include: Award Winners, Classics, Indie, Hot off the Press, Men-Only, R.J. Readers, and Rose Quiello. We also are affiliated with many book clubs who meet in private homes. If you’re interested in one of the book clubs held at the store below, simply show up! Why Register Your Book Club? 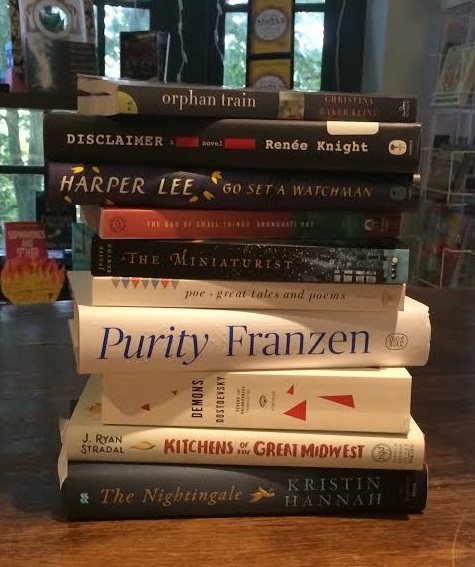 Helpful Staff: Our knowledgeable and widely-read staff is always available to help you select the right book and can always make recommendations for specific needs and tastes. Book Club Nook: Your book club selection will be highlighted each month right at our Information Desk - easy for your members to find and purchase your monthly choice. Annual Book Club Soiree: meet with R.J Julia owner Roxanne Coady to help plan your Book Club's reading selections. If you have any questions, please contact our bookclub liaison at bookclubs@rjjulia.com. * When your club orders five or more copies of any title. No other discounts apply. Our newest book club is for any adult who loves to read young adult fiction!